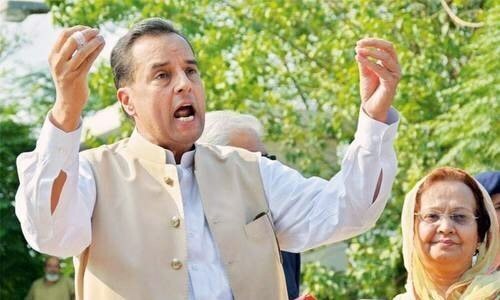 RAWALPINDI: More than a hundred local leaders and workers of PML-N have been arrested for flouting the ban on congregations and rallying and obstructing a National Accountability Bureau’s (NAB) official from arresting retired Captain Mohammed Safdar. The son-in-law of former prime minister Nawaz Sharif was sentenced to one-year imprisonment in the Avenfield reference. The workers and local leaders, who were booked in three separate cases, had been nominated in the complaint filed by NAB. Police are still raiding different places in the city to make more arrests, said a spokesperson of the Rawalpindi police on Wednesday. Abbas Ahsan, the city police officer (CPO), said they would arrest the nominated persons and present them before the court. “We have been doing our duty with utter professionalism,” he added. On Wednesday, a civil judge sent 37 PML-N workers, who have been arrested since Sunday, to Adiala jail. 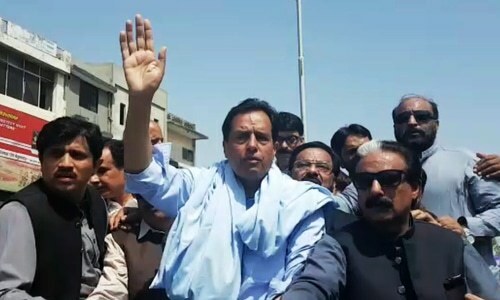 On the other hand, eight PML-N local leaders including Senator Chaudhry Tanveer, Danyial Chauydhry, Malik Shakil Awan former MNA Malik Ibrar, Raja Hanif, Rahat Qudoosi, Maqbool Ahmed and Raja Mushtaq were granted bail before arrest until July 18. The police said the PML-N workers had taken out protest rallies in violation of section 144 and their participants had obstructed the arrest of Mohammad Safdar. The CPO said that police crackdown would continue until the arrest of all violators of the section. The CPO said nobody is above the law and police would deal strictly with the persons creating law and order situation. “We will not be lenient to anybody and ensure the implementation of the code of conduct,” he said. The police said it will ensure implementation of standard operating procedure SOPs for security of political gatherings, notified by home department. “Whosoever tired to create law and order situation, he would be treated according to the law,” the CPO said. But, as we saw on TV, the police present on site did not perform well, They were walking behind the procession like others present. There is only one government and it is not the Nawaz government. Only 100 of Mister Safdar's followers is not a very big number. Demonstrators may cause a disturbance on Friday but not a revolution. The State has ensure its writ...The law of the jungle has to end....this is good sign.....No one is above the law....No matte what their political alliances are...In civilized socities even the protests are recorded in peaceful manners.Hope our nation and LEAs make sure of this....m.
Law breakers should be punished. Identity them and take stringent actions against those who violated law and supported a convicted criminal. Don't let anybody be above law, treat them according to law and punish them! All should respect laws of the land. If any problems, go to court and appeal against the decision. No need to obstruct justice. Times have changed, now rich and powerful would be accountable for their misdeeds. All should get used to political climate change.